I know I’ve blogged a lot of videos lately, but this is possibly my new favorite video. This right here is some real talk…I love it! I literally want to show it to everyone, especially to youth. Watch and tell me what you think! Posted in Uncategorized and tagged encouragement, Inspiration, Inspire, Leadership, Motivation. Bookmark the permalink. I’m extremely excited for an event happening this sunday called The Heights. This blog post provides a brief explanation and some insightful thoughts from Jerrod Murr, the speaker for the event. This Sunday Night I have the distinct other to share the word of God with young people of Muskogee, Oklahoma. Some fellow believers from St. Paul Methodist have organized a gathering. It will be a night for worship and prayer and The Word of God. 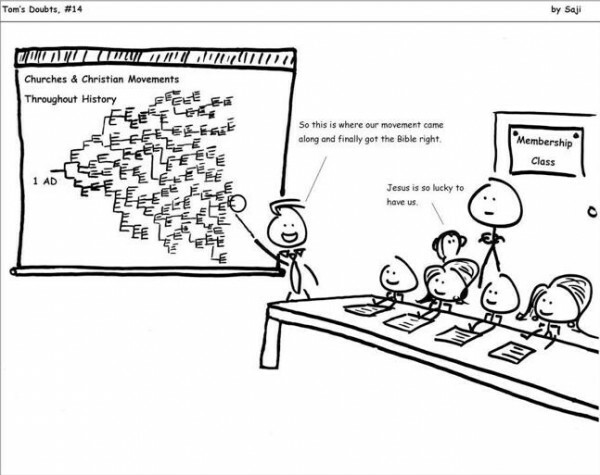 Denomination does not matter. Address affiliation is irrelevant. I thoroughly enjoy nights like this because I think Jesus did not have a denomination. HE IS THE DENOMINATION. Furthermore, those qualities that unite us are certainly stronger than those that divide us. This week, one of my professors added this video to our assignment folder to help motivate and inspire us. Got some inspiration or motivation? What do you think? Posted in Uncategorized and tagged Inspiration, Inspire, Motivation, Success. Bookmark the permalink. What is the most inspiring speech you’ve ever heard? Which one in this video is your favorite? Posted in Uncategorized and tagged Inspire, Motivation, Movies. Bookmark the permalink. Fact: I’m a busy person. Sometimes I can get overwhelmed; it happens. However, sometimes it just takes a moment to calm down. Sometimes it just takes some breathing. I’m starting to realize how important breathing is. Basic concept right? But how often do you think about it really? Here are two situations that point out how important breathing is. 1. This summer I started working with a friend to get fit. He is a football player who is nice enough to be my trainer and get me into shape. I’m calling him coach 🙂 Every week, I go through a four day workout plan, and I admit, it really pushes me. It’s great though; I’m really loving the challenge. Anyways, something coach keeps repeating and trying to drill into me is just to breathe. “Remember to breathe.” “You gotta breathe.” “Better be breathing.” I admit, breathing really isn’t my forte. I tend to just push or rush through my workouts and forget to breathe properly. As we progress through this workout plan, I’m really starting to feel it. He reminds me that breath is life, and my muscles need it. 2. In Theatre, during warm-ups and exercises, my professors point out the importance of breathing. What is essential for life? Air. We need to breathe to live. Therefore, most exercises we need to be aware of our breathing. Breathing helps with pacing, focusing, and support. Applying that to now: I’m drowning in homework and responsibilities. The fact that it is summer time and there are a ton of distractions just makes it worse. Breathing really isn’t a conscious thing until you realize you’ve been holding your breath or you’re out of breathe. Life and our attitudes can just as easily overwhelm us suddenly like realizing one is out of breath and finally being aware to breathe. It is easy to stress myself out…however, I think of breathing as an attitude or mindset also. I try to be conscious of the situation before it because an issue. Whenever I know I’m going to stress myself out, I remind myself to just breathe and try to be positive about the situation. I can get through this; this situation will pass. My homework will get done, and my life will go on. I’ve done it before. I’ve got this. Positivity, determination, pacing, and just breathing. 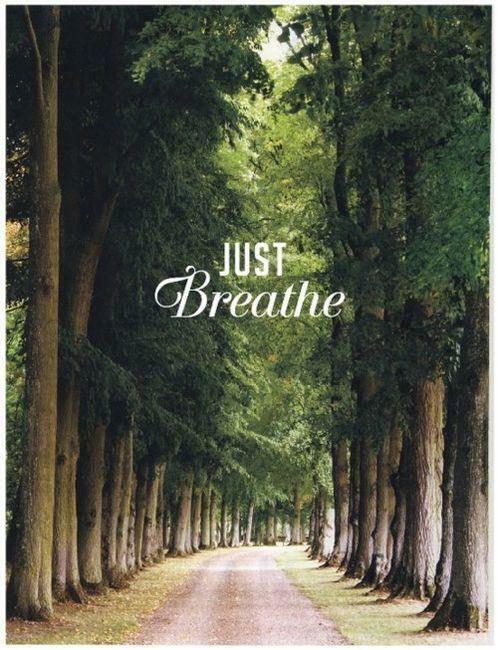 It is that time when I take a moment to just breathe and get refocused, re-energized, and re-positive that I know everything is going to be ok.
That is just my recent thoughts on the importance of breathing. Basic but true. Posted in Uncategorized and tagged breathing, Inspire, stress less. Bookmark the permalink. Motivation. Just a daily dose to get through this homework. Posted in Uncategorized and tagged Inspire, Motivation, Positivity. Bookmark the permalink. Today, I was trying to figure out what I wanted to write about, and I decided StrengthsQuest and my results sounded like a good idea. I like personality tests and things of the like. StrengthsQuest is one I had to take at a college prep day; plus, my college makes all freshmen take. It helps you find your strengths/talents and provides tips on how to use your strengths to achieve academic, career, and personal success. If you’re curious, it can be found here: www.strengthsquest.com. After taking the assessment, you’re given you’re top five strengths. How about some definitions? I’ll give you the brief version. Belief- People who are especially talented in the Belief theme have certain core values that are unchanging. Out of these values emerges a defined purpose for their life. Positivity- People who are especially talented in the Positivity theme have an enthusiasm that is contagious. They are upbeat and can get others excited about what they are going to do. Communication- People who are especially talented in the Communication theme generally find it easy to put their thoughts into words. They are good conversationalists and presenters. Futuristic- People who are especially talented in the Futuristic theme are inspired by the future and what could be. They inspire others with their visions of the future. Competition- People who are especially talented in the Competition theme measure their progress against the performance of others. They strive to win first place and revel in contests. After we got our results, we got into small groups to discuss them. Ryan Eller was in my group and asked if there was a talent we didn’t expect or understand. It took me a second before I responded. I explained that I didn’t think communication would be one of mine. While I really wanted it to be, I knew that I tended to trip over words and mess up when explaining things. Ryan’s response was something like, “Well, you’re doing a great job of communicating now.” The group agreed. It was encouraging and an overall great experience. I went away feeling very proud of my strengths; in fact, I have them memorized in order. I believe knowing you’re strengths and the strengths of your teammates can help you grow as a team and leader. I know it can help you in just about any interview; I’ve used it several times myself. Final note to this rambling: I believe, you should always be looking for ways to understand yourself and grow. Know who you are. Posted in Uncategorized and tagged Inspire, Leadership, Strengths, Strengthsquest, Talents. Bookmark the permalink.